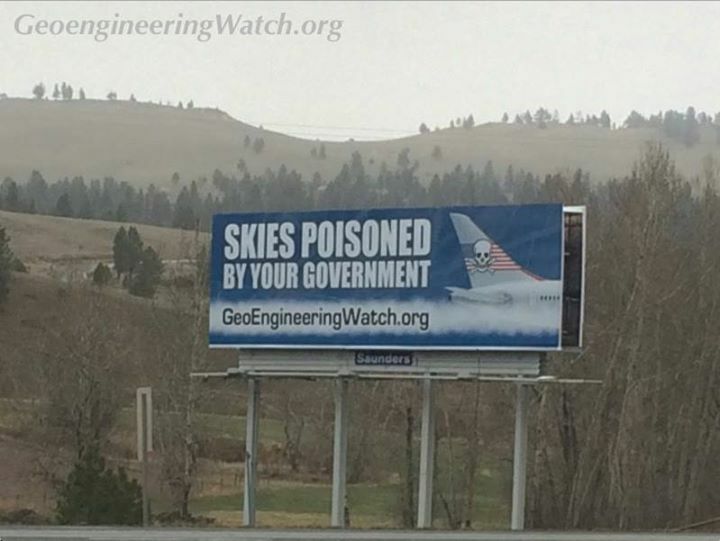 Two new GeoengineeringWatch billboards have gone up in Idaho and Montana. 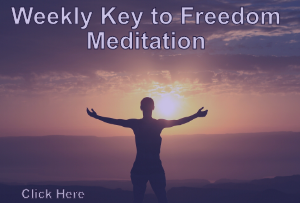 This photo is taken of the billboard in Jefferson, Montana. I-15 West Side. Latitude 46.402126, Longitude-112.017632. 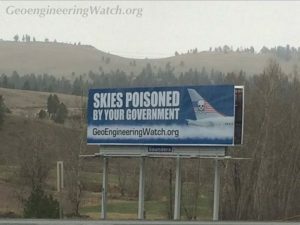 To view more photographs of the new billboards and other billboards previously erected around the country, or to post a comment, go directly to the GeoengineeringWatch article http://www.geoengineeringwatch.org/two-more-geoengineeringwatch-billboards-go-up-in-idaho-and-montana/ No matter how obvious and rationally undeniable the climate engineering atrocities are (clearly visible in skies around the globe day in and day out), many people just can’t see what is right in front of their faces until it is pointed out to them. Highway billboards can serve this purpose. The message on these billboards could not be any clearer. The awakening is growing by the day, could there be discussions in dark corners of the Pentagon about this fact? The effort to sound the alarm on the critical climate engineering issue continues. My most sincere gratitude to all the friends, allies, and activists that are helping to erect the billboards and to move the ball forward in the battle. We must all make every day count in this fight. Looking forward to a moneyless economy . . .
Professors & Politicians Gather To Warn Us About The New World Order (NWO) October 27, 2015 by Arjun Walia. I have a gofundme page up to get a bill board in Philadelphia. I the kindwhile, I’m leaf-letting the flyers on all over trains and news paper bins. That’s easier to do but a bill board would be reach more people. Gotta get this information out there.